In this paper, we study the cliff collapses, using observations and in situ measures, along 120 km of the french chalk coastline in Upper-Normandy and Picardy. Cliff collapses occur inconsistently in time and space, in unpredictable way. A european scientific project ROCC (Risk Of Cliff Collapse) has been launched (1999-2002) in order to identify the critical parameters involved, to evaluate their impact and their interaction in mass movements. Cliff collapse process appears as a complex natural system, due to the large amount of parameters able to lead to a collapse. GIS approach has been used to allow an homogeneous cartography of each parameter reported on one layer each one, along a large surface of 120 km long coastline. The computation is decomposed in different steps which consist from the qualitative factors, to quantify them and to normalize them in space. 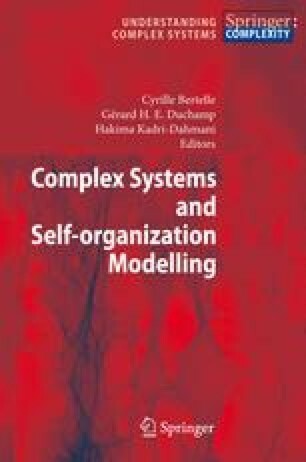 On the basis of field measurements and data analysis, four types of geological information have been added to the GIS model and a first computation of hazard modelling has been proposed to design a collapse hazard sensitivity map, based on a elementary summation of the parameters. We now prospect to introduce a ruled-based systems, dealing with the complexity of the interaction of the local parameters. An interaction network must be defined to represent the spatial and semantic links between local parameters.